Have your document translated and notarized/ certified. Take the notarized translation to the ODS (Official Document Services) office to authenticate the signature and seal of the notary. 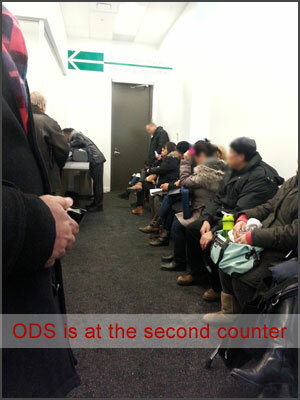 This office is located at 222 Jarvis St. The closest subway station is Dundas on the yellow line and the main intersection is Dundas East and Jarvis St.. The cost of authentication is $16 cdn for each notarization (taxes already included). If the translations of the document that you want to legalize at the consulate are not for the same procedure, then a notarization for each document/ procedure is necessary. 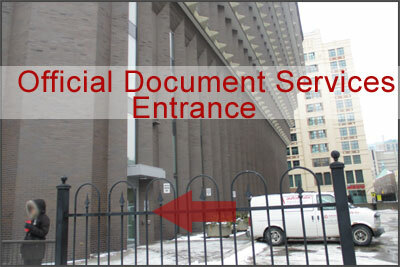 The main entrance at 222 Jarvis St. is not the entrance for the Official Document Services office. 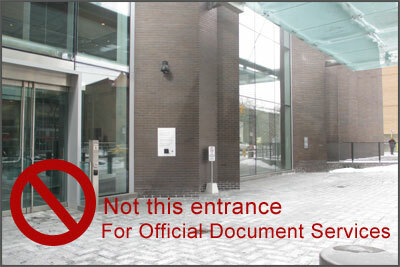 At this entrance there is a small map which indicates that the entrance is at the north side of the building, but the sign is small and many people don’t realize that it is there. 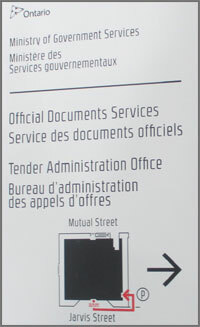 This is the office and inside there are two counters, the first one is for the Tender Administration Office and the second is for the Official Document Services. It is not necessary to take a number, but when you come to the counter, they will ask you to fill out a form for the request for the service in which your name, address, telephone and country are asked as well as where the authenticated document will be used. 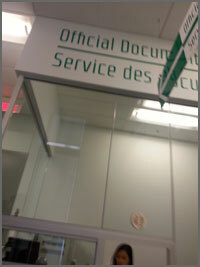 Once you have authenticated the document, go to the consulate of the country that you want to do the procedure in. Every consulate has different fee rates for legalizations. It is important that you find out what the charge is before you go. The Ecuadorian consulate, for example, only accepts American dollars as the form of payment. If you know this before hand, you will be prepared and not have to have wasted your time in the line-up on account of having to make an unexpected trip to a bank. The key for doing these procedures without the headache is to be informed before you go. If I can be of any assistance, please contact me and I will gladly help you if I can to clear up any doubts that you may have.